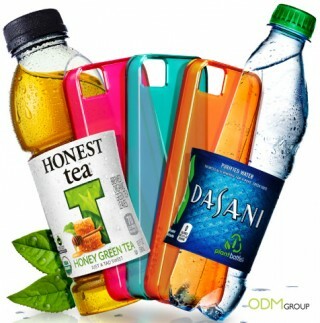 The promotion from Dasani tees offers gift giveaways of one of 1,000 iPhone covers. This simple promotion invites people to fill out a form or alternatively enter through the Dasani Honest Tea Facebook fan page. To be in with a chance of being an instant winner, all you have to do is choose a bottle cap to see if you’re a lucky daily winner. On uncovering a lucky bottle cap the winner will receive a colourful iPhone case worth $35. How the gift giveaways competition works for Dasani? Dasani is a bottle water company owned by Coca-Cola. Their bottles in America feature 30% plant-based material in the packaging. In efforts to engage customers, they introduced a competition that anyone could enter daily. This would have been sure to create gossip and would have increases traffic to their homepage. It would also make the Dasani brand more noticeable at point of sale as customers who had entered the competition would recognize the bottle more readily. It would influence purchase, henceforth affecting sales in a positive way. What is missing in this promotion? Branding! With a more attractive design and Dasani branding, the returns on the marketing investment would be so much better. As the phone cover is an item that is used daily, it is visible in calling and casual situations. Branding also brings more attention to the item. People will not pay much attention to a coloured phone case, but they will notice more a branded item. Why use promotional products in marketing campaigns? Promotional products are well-known to have a stronger effect on brand recognition. People recall brands that they have seen or held with received promotional products. The marketing message is seen to hold more perceived value if a company can offer a functional gift item as a more innovative calling card.